Bruce Lee was a famous martial artist and action movie star. He is widely considered to be one of the most influential martial artists of all time. 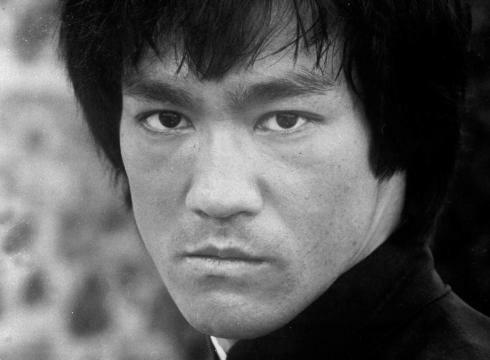 His notable film credits include Way of the Dragon, Enter the Dragon, The Big Boss and Fist of Fury. Born as Lee Jun Fan in San Francisco, California, Bruce Lee is the son of Grace Ho and Lee Hoi-chuen, a Cantonese opera star. His father was Han Chinese, and his mother was of half-Chinese and half-Caucasian descent. He grew up in Kowloon, Hong Kong, with his family until his late teens. In 1964, Bruce Lee married Linda Emery. They had a daughter, Shannon and son, Brandon Lee. He died of cerebral edema in Hong Kong at age 32. *He was born in San Francisco, California and was raises in Kowloon, Hong Kong. *He started his martial arts training under the Wing Chun teacher Yip Man in 1954. *His son Brandon Lee tragically died while filming The Crow (1994). *He is considered the greatest martial artist of the 20th century. *He was fluent in English, Cantonese, Mandarin, and Japanese. *He was a gang leader in his teenage years, and his group name was “The Tigers of Junction Street”. *He weighed only 128 lbs at the time of his death.